Place the bright and stunning Villa Ottoman in your living space for a touch of incredible comfort! It’s microfiber upholstery resembles the comfort of leather, while providing a unique and rejuvenating experience to you and your loved ones. Choose quality, style, and dependability for your home at Gallery Furniture TODAY! 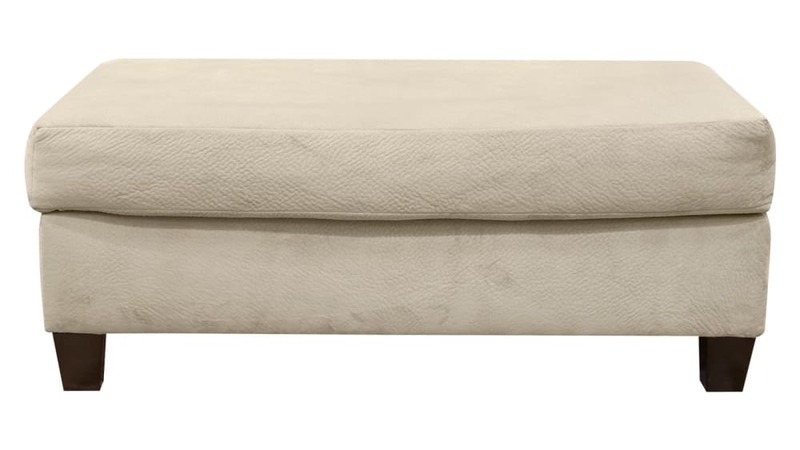 This ottoman was Made in America! Smooth microfiber upholstery offers the feel of affordable luxury. A plush cushion is exactly what your feet need to kick up and relax. Contemporary styling will fit excellently into almost any design scheme.